Music is a huge part of who we are, and most of us will have an affinity to a particular style or genre. In general, the human experience is often characterised by particular songs or pieces – we have music at pivotal moments in our lives such as funerals or weddings. Music often affects our mood though, and we may listen to different things depending on how we feel. How can we use music to boost our mood? Modern science has shown us that certain parts of the brain actually light up when listening to music. Neurological research says that people from all cultures, throughout all points of time, have been affected in some way or another by it. The TV and movie industry is particularly good at capturing this, as a great soundtrack will often heighten our emotions and therefore enhance our viewing experience. We can mimic this in our real lives, by trying to match the music to the mood we want to have. If a song is happy and upbeat, it could have an affect on the way we carry ourselves and feel. In the same way that our mood can be lifted by listening to happy songs, we can also be inspired or motivated when we listen to music, too. Just think about action movies or the music that they blast out in gyms across the world. Most times, you end up feeling pretty pumped up too! Music when dancing or working out keeps us going with the rhythm, so we actually get a better workout. And keeping physically active (where possible) is actually excellent for our mental health, because exercise releases chemicals which make us feel good! You can often take modified exercise if you have a disability. Simply speak with your doctor about your options. Is there a value in sad songs? Based on everything we’ve said so far, you may be wondering why on earth we ever listen to sad songs – why would anyone do that, especially if they’re already depressed? The truth is, we are all unique, and while music can indeed make us feel worse at times, for some people, it’s exactly what the doctor ordered. The lyrics of sad songs can feel relatable, and we then don’t feel alone. They’re familiar to us, so they bring us comfort. Sad pieces of music – often in a minor key – evoke such emotion that we find them beautiful. However, it’s worth exercising caution here when already feeling low, because in some individuals, sad music can bring about emotions including grief. With all of this in mind, it shouldn’t be surprising that Music Therapy is often such an important discipline. The right music can manage stress, enhance memory for people with problems in this area, and even alleviate pain. For example, if you’re having surgery, research suggests that you will be less anxious if you involve music in your experience. 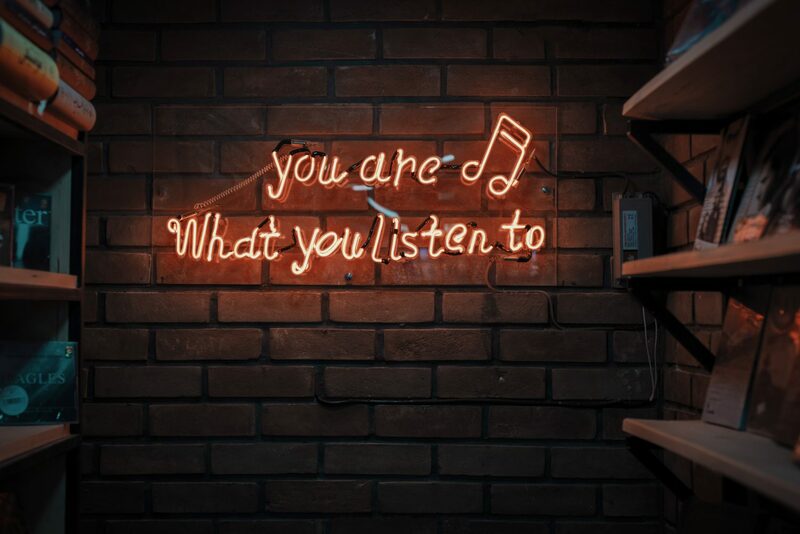 And recently, the World Journal of Psychiatry has said that mood issues related to neurological conditions like Parkinson’s or a stroke can be effectively managed by music. This means that if you do have a disability or mental health condition, Music Therapy could be supplementary to your existing treatment. It will not “cure” your pain or conditions, but it can help to make your life easier. Our support workers could even accompany you to sessions with a trained practitioner! Music has the power to improve your quality of life and to boost your self esteem. Its vibrational effects actually have a profound impact on the brain, and help to stimulate new neural connections. It can’t solve every problem in life, but it can seriously make a difference!